I know it is not that special making fried chicken wings. 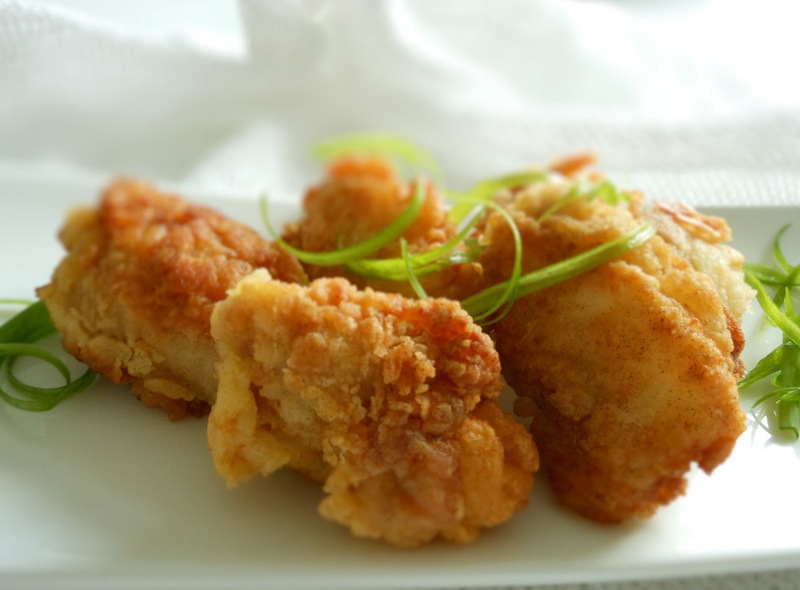 How about fried boneless chicken wings? The word 'boneless' should make the chicken wings a little unique, I guess. I have to admit that I didn't find the whole deboning process pleasant. The skin can easily be ripped open if it is not done precisely. At first, I was preparing to debone 20 pieces of chicken wings, but I ended up doing 10 pieces. My thumbs started to hurt from pulling the bones out. So I had to call it quits. Perhaps it will be easier next time if I do the deboning again. Anyway, it was a learning experience for me. If you are interested in learning how to debone chicken wings, go visit the blog of Dave's cupboard. It's a great blog, and the instruction is quite easy to follow. I would try to make stuffed chicken wings using the whole wings when I regain my enthusiasm. The fried boneless chicken wings were delicious yesterday. So it was worth the effort even though I had to go through some difficulties. I could eat the whole piece of chicken wing using the cutlery. My fingers stayed clean during the whole meal. Marinate the chicken wings with garlic salt, paprika, and black pepper for half an hour. Mix flour, corn starch, and baking powder well in a bowl. Set aside. Whisk the egg, and milk well. Set aside. Dip the wings in the egg mixture, then coat in the flour mixture. Place the chicken wings in the hot oil and fry until the wings are crispy and fully cooked.